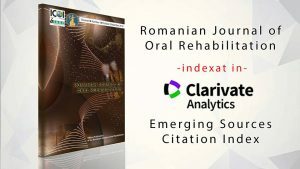 The aim of the present study was to evaluate the knowledge of the students attending the Faculty of Dental Medicine in Iasi regarding the HIV/AIDS infection. Material and method: The cross-sectional study included 124 students from the 4th and 6th years who filled in a specially designed questionnaire consisting of 20 questions on two aspects: the first one refers to HIV transmission pathways and the risk of transmission in the dental office, and the second one refers to the oral lesions associated with this disease. The results demonstrate that some of the issues are correctly assimilated by the students of both years of study, as more than 80% of them marked the correct answer (concerning blood, sexual, maternal-fetal transmission routes, as well as the association between fungal infections, Kaposi’s sarcoma and AIDS). However, there were questions with a very low correct response rate (below 50%), concerning the transmission via the saliva or via the contact of infected blood with the nasal, oral or ophthalmic mucosa, as well as the herpetic and cytomegalovirus-associated infections as oral lesions manifest in the HIV infected patient. Surprisingly, only 29.5% of the interviewed subjects knew the post-exposure prophylaxis method. 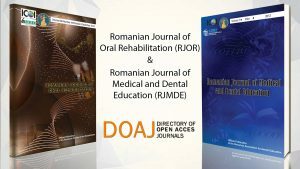 In conclusion, the study underlines the need of introducing new programs and lectures on this topic, with an accent on the practical aspects specific to the dental office activity.